With uPVC doors in Colchester, you can give your property its own style of elegance. Colne Valley Windows has a number of different colours and glass options to choose from, ensuring your home or business looks great. Our friendly staff have over 25 years of hands-on experience and can provide you with expert advice about which uPVC doors would suit your tastes. 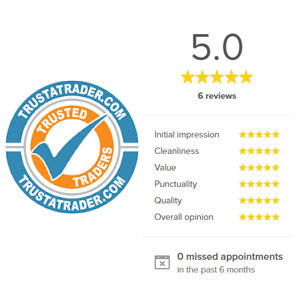 We also take great pride in our unrivalled customer service for an effortless browsing and buying experience. For every installation, our fitters will treat the customer’s property, privacy, and personal space with the utmost respect. No mess or muddle will be left behind either, as we see ourselves as your humble guests. If you would like more information about uPVC doors Colchester, get in touch with Colne Valley Windows today. Several modern doors are made using uPVC (unplasticised polyvinyl chloride) due to this material’s extensive advantages. It requires hardly any maintenance, is extremely durable, and can improve the aesthetic of any property. Even if uPVC doors get dirty or scratched, they only require a quick clean and polish to look as good as new again. Over time, uPVC doesn’t fade due to sunlight and won’t warp, rust, or rot because of the rain. Therefore, they won’t need replacing after a couple of years like cheaper alternatives. Last but not least, uPVC doors are completely recyclable as well as water and fire resistant for added peace of mind. We Love What We Do – All of our fitters are passionate about transforming the properties of customers. They turn up to every job with a smile on their face, while their enthusiasm is evident in the standard of completed work. We Care About You – We believe the right care can ensure success. 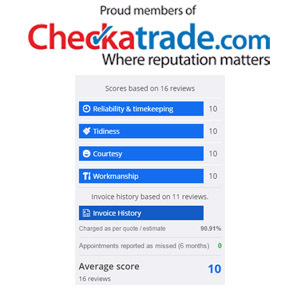 So, we make every effort to protect your home or business, something which has helped us build a loyal client base. We Take Care of Everything – The installation of uPVC doors isn’t a Do-It-Yourself job; it requires the specialist skillset of professionals. Thankfully, Colne Valley Windows is on hand to take care of everything for you. We Offer Excellent Value – We guarantee to provide you with unrivalled value and an outstanding service, irrespective of lifestyle need, design preference, or budget constraint. For more information about uPVC doors in Colchester and to discuss your requirements, contact Colne Valley Windows today. Send an enquiry using our online form or get in touch directly on 01787 827382.